ITTA BENA, Miss. 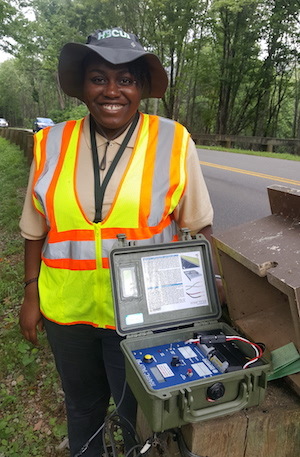 —Mississippi Valley State University Junior Keshona Young of Greenville, Miss., recently had the opportunity to put her skills to the test during an internship at the Great Smoky Mountains National Park in Gatlinburg, Tenn.
Young, an Engineering Technology major, was one of five candidates selected out of more than 40 applicants for an internship with the Greening Youth Foundation through the Historically Black Colleges and Universities Internship (HBCUI) program. The Greening Youth Foundation’s mission is to work with diverse, underserved and underrepresented children, youth and young adults in an effort to develop and nurture enthusiastic and responsible environmental stewards. During the 11-week program, Young resided in the national park and had the opportunity to initiate and assist with various projects. She worked closely with the parks’ facilities management department and served as a project coordinator, designed floor plans for new office spaces and updated evacuation maps for the park’s headquarters. Young said she’s grateful for the experience. “I thought it was the best thing in the world…it was great. I felt that the internship helped me to become stronger in both of my concentrations, Computer Aided Drafting and Design and Architectural Construction Management, because I had the chance to draft two projects as well as serve in the role of project supervisor,” she said. “Initially, I had some self-doubt, but afterward everyone told me how good I did and it made me feel confident. I’m so glad Mr. (Antonio) Brownlow (Acting Chair of Engineering Technology) encouraged me to apply,” she said. An aspiring civil engineer, Young encourages her cohorts to also take advantage of internship opportunities. To learn more about the Greening Youth Foundation, visit www.gyfoundation.org. 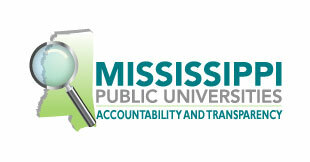 For more information about MVSU’s Engineering Technology program, call (662) 254-3411 or visit www.mvsu.edu.